Cristiano Ronaldo could miss the Champions League quarter-finals after being charged with “improper conduct” by Uefa during Juventus’ 3-0 second-leg victory over Atletico Madrid. After completing his stunning hat-trick to overturn the deficit in the round-of-16 tie, Ronaldo repeatedly thrust his hips in the direction of the crowd in celebration. The ‘cojones’ celebration was thought to be a jibe at Atletico boss Diego Simeone, who celebrated in similar fashion after Atletico's first-leg victory. The Uefa Control, Ethics and Disciplinary Body will reach a verdict on what action is to be taken against the Portuguese talisman on March 21 at their next meeting. However, Uefa chose to fine Simeone £18,000, rather than serve the manager with a touchline ban, meaning Juventus will expect the striker to receive a similar punishment. 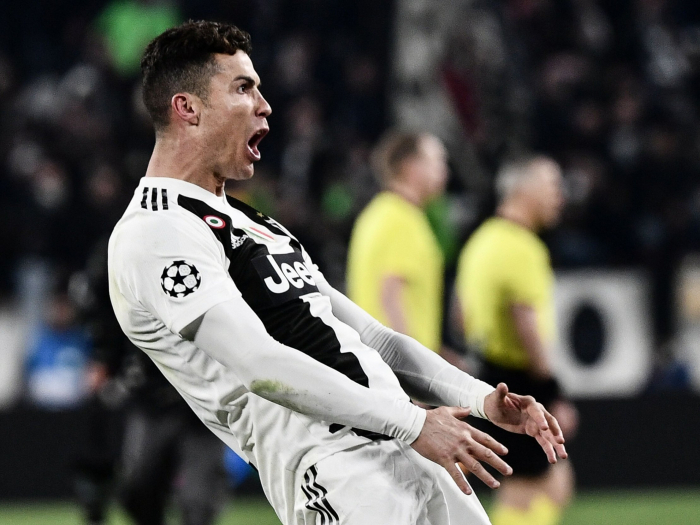 After trailing Atletico 2-0 in the tie, Ronaldo spearheaded a famous victory for Max Allegri’s side in Turin, scoring twice with towering headers before converting a penalty in the game’s dying embers to send Juventus through to the quarter-finals. The Italian champions, who lost their first game of the Serie A season on the weekend against Genoa, face Ajax in the next round after the Dutch side’s historic victory over Real Madrid. The first-leg takes place at the Amsterdam Arena on April 10.